This weekend Kingston Synchronised Swimming Club (KSSC) and Out to Swim Synchro took to the Serpentine in Hyde Park London as part of open water event Swim Serpentine. Both clubs, as well as Swim England Synchro, were not only keen to support the open water swimmers, but to show spectators what synchronised swimmers are made of! KSSC and Out To Swim both braved the exceptionally chilly water without wetsuits to show spectators some fantastic synchronised swimming routines. Both clubs train and compete in the London and Surrey regions. Kingston Synchro took to the lake first to perform a series of movements to the Harry Potter soundtrack. Displaying synchronicity despite the cold water, the Masters swimmers of KSSC managed to smile through the routine. Out To Swim were up next, with their Masters swimmers offering their routine to the Chicago sound track. The swimmers used hats and sticks as show props to deliver a creative and entertaining routine. 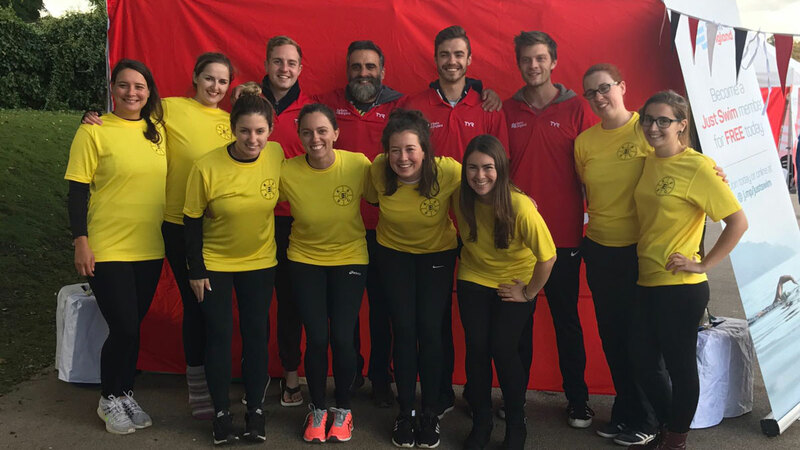 Swim England, together with invited affiliated clubs, hosted information tents and displays to promote swimming, diving, water polo and synchronised swimming to Swim Serpentine swimmers and spectators. Despite interruption by a couple of confused swans, the event was a success with plenty of spectators and interest from local coffee shop crowds.